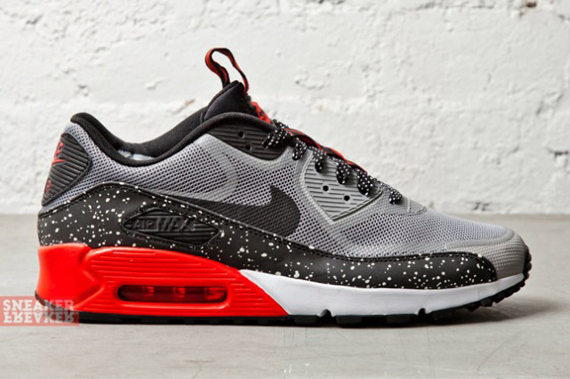 If you’ve grown tired of the typical Nike Air Max 90 styles don’t worry, there are plenty of variations to keep you busy in 2013. The Nike Air Max 90 Tape is one of them, a model that seems to have quite a bit in common with recent Hyperfuse iterations. This one pushes the boundaries even further than we’re used to thanks to that interesting red and black diagonal striping along the tongue. 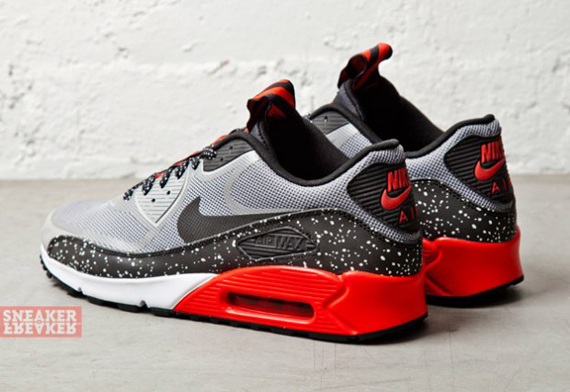 Reconvene after the click to see the shoe in full detail and check back in on Sneaker News to find out when this Nike Air Max 90 CMFT PRM Tape style will be at your local NSW spot.